Warning: what follows is an unashamed post about gear. Yes, Ming is writing a gear-centric post. There will be no photography in this article beyond the obligatory camera p***. What follows today’s article is a little mini-series; I wouldn’t really call them reviews, because the context is very different and they’re not really that relevant as current products. The main reason anything becomes a classic is because it stands above its peers in some way or another – the best, the fastest, the largest, the weirdest, the most expensive, the least production – take your pick or combination thereof. And it’s combination of properties – almost always in conjunction with price – that causes us to obsess and fetishize over said product. In the camera world, there are a number of cameras that can arguably be called classics; fewer that can be called legends. If these were cars, the former category would include the Citroen 2CV, Volkswagen Beetle and co; the latter would remain the lofty realm of the likes of the Ferrari 250 GTO, Bugatti Atlantique etc. I’m going to cover a bit of both here – partially because I have a limited budget, partially because I’ve picked a very biased, eclectic collection that works for me, but might not mean anything for another photographer. 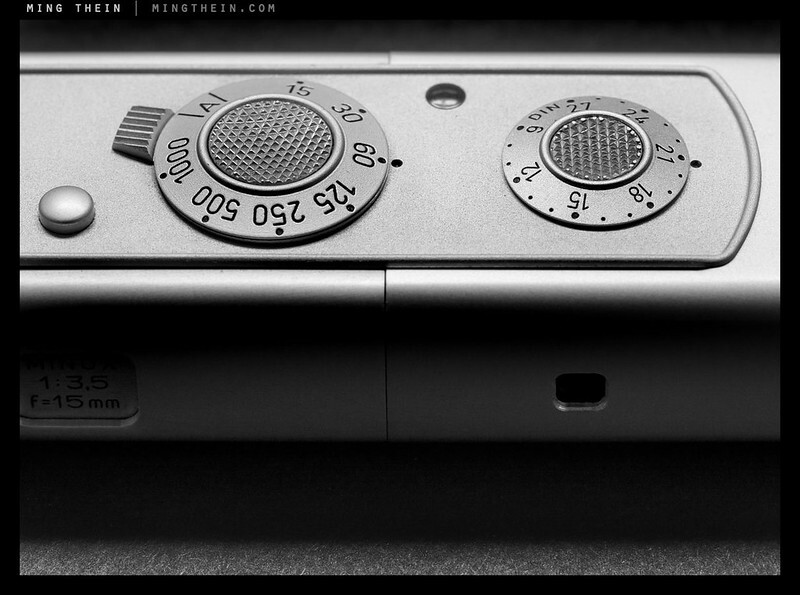 I wanted to include an article on this – the Minox A/B/C – sadly, I couldn’t find any film to put in mine, and my IIIS (A) is sticky, and nobody makes the mercury batteries for the C anymore. The cameras which will feature in this mini-series will probably be familiar to you all; they were flagships and poster-children and the pin-ups of the photographic world at one point or another – even if that might have been the better part of half a century ago. I don’t have a Nikon F, the first professional SLR system camera – but I do have an F2, and what is perhaps the epitome of the F2s – the Titan. It’s also the most manual of the F2s – the standard matching prism is unmetered, and though there’s a battery compartment in the base – to power optional metered heads and accessories – the camera portion is fully mechanical and requires no power to operate. Next up is the classic Hasselblad V: I’ve owned a 500C/M, a 501C, and the 501CM; I’m going to write about the last of these, because this particular camera is special to me for various reasons beyond being the last descendant of the cameras that went to the moon. 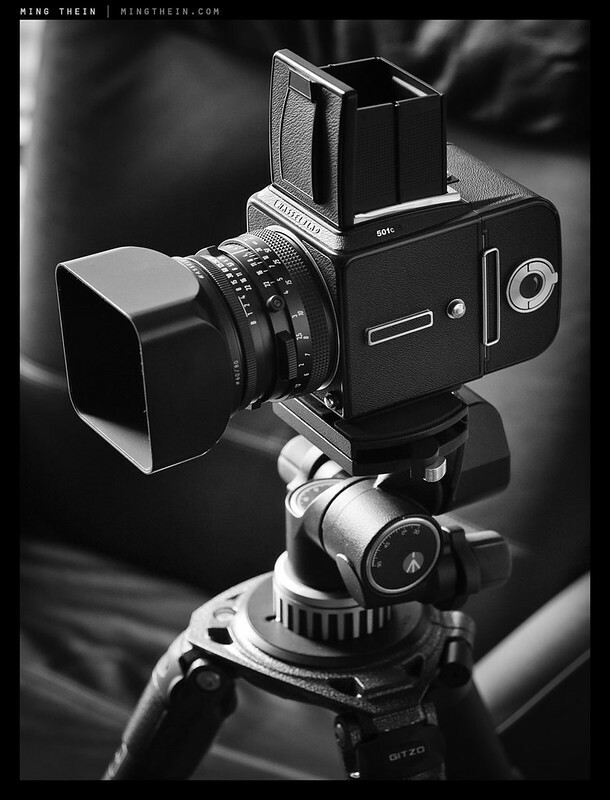 Branching off this tree, we have the Hasselblad 903 SWC; this camera is built around a lens design so legendary – the Zeiss 38/4.5 Biogon – that barring coatings, the optical formula remained unchanged for well over 50 years. It’s the camera equivalent of the Volkswagen Beetle or the Morris Oxford for longevity, but obviously isn’t the same workhorse for the masses that the car was. Perhaps the Porsche 911 is a better analogy. 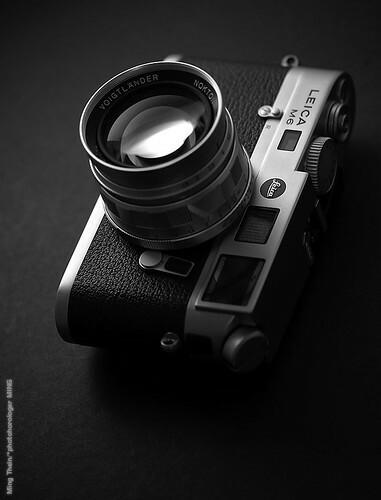 The optical formula was changed for the final camera in the line, the 905 SWC, due to the earlier design requiring glass that contained lead-arsenic. We’ll look at a couple of modern classics – the Leica M6, the Nikon F6, perhaps the last of the great Nikon film cameras, and something for the people: the Olympus Mju II. I’d add the Ricoh GR1v to this series, but I’ve already reviewed it here – along with the Contax T3, here. Finally, I’m going to finish with a lens: the Nikon AI-S 58/1.2 Noct-Nikkor. Yes, this lineup is by no means comprehensive or complete – there are some conspicuously absent candidates like a Rolleiflex of some description; the Canon AE-1; the Leica MP – preferably the Hammertone or Titanium versions; a Polaroid SX-70; an Olympus OM-4 Ti; a Kodak Box Brownie; a Barnack Leica; the Pentax 67II; something exotic and fast with a pellicle mirror, like a Nikon F High Speed; large format cameras of any sort, and finally, a Minox. This is because I either can’t get access or afford to buy them, or they simply don’t interest me; in the case of large format I’m clueless, and for the Minox – I have a IIIs, a C and even the developing tank – but alas no film to shoot them with, nor even an empty cartridge to allow me to splice a 35mm roll into. I’ve been using a Koni Omega Rapid 100 6×7 rangefinder camera. Bought it for, what, $175 on eBay. I acquired its 58mm true wide angle lens with the accessory finder. I shoot T-max 400, develop in a Jobo using T-max developer, then scan the negs with an Epson 750. You end up with a file of over 7500 pixels on the long side, and images sharp to the edges, with amazing highlight transitions and it makes a lovely black and white print. Output seems to have the sharpness of medium format digital with the smoothness of film. Instead of spending $30,000 on a high end Phase One back, you get the same result for under a thousand, including the extra lens and the scanner. The funniest aspect is the reaction of people who can’t figure out what is hanging off my neck: this giant hunk of metal that just demands to be taken seriously. Reblogged this on photo potpourri. I’m pretty sure the 250GTO is an SWB no? There were two variants with different backs. you can still get film for the Minox here: http://www.fotoimpex.de/shopen . These are new resized Agfa films, colour and BW. I think they ship worldwide. Having old classic cars and cameras and never using them is like being married to a super model and never sleeping with her! p.s. Really looking forward to the new videos you are launching. My money is ready and waiting!! Actually, Fuji Acros 100 pushes nicely to 400 – little grain, but the contrast increases. Could be what you’re looking for. Otherwise there’s always Ilford Delta 400, which will stand another stop or so of push beyond that. Brilliant post Ming! Love your work too! This will be very interesting Ming. I got (back) into film photography a couple of years ago and have been collecting, fixing and using film cameras ever since. 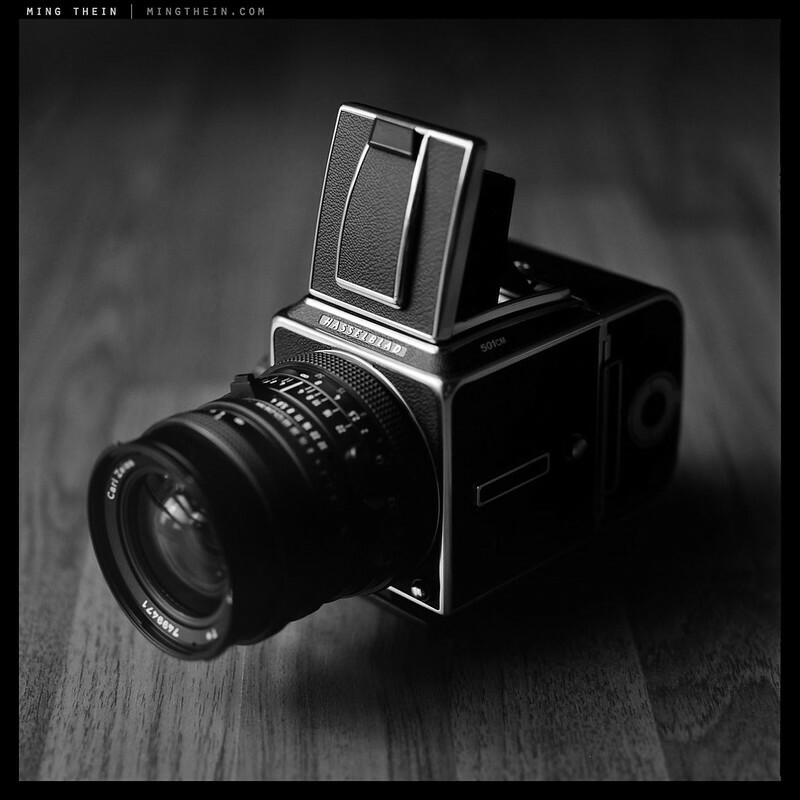 I think it would be great to see you trying an old medium format folder to see what you could get out of one of those. You can buy them ‘ready repaired’ by Jurgen Kreckel or Leslie Gilmore on eBay. I have not bought from them myself, but they both have decent reputations. Jurgen sells as ‘Certo6’ (http://myworld.ebay.co.uk/certo6/) and Leslie Gilmore as Beedhams (http://myworld.ebay.co.uk/beedhams/). I’m not trying to promote either of these guys (both get plenty of business already) but you won’t want to waste any time trying to get them working/properly set up, I’m sure. Interested at all? This is the most tempting camera I have ever seen! The GF670 produces images that are just amazing to see. Astonishing output. It looks pretty compact, too. Digging this, Ming! So fun. I remember renting a 501 for a weekend many years ago, in order to shoot my sons’ portrait. I had never loaded film like that before and couldn’t believe the roll was only 12 shots (right?). But the few rolls I shot are some of the best work I’ve ever done. Something just magic about that camera. 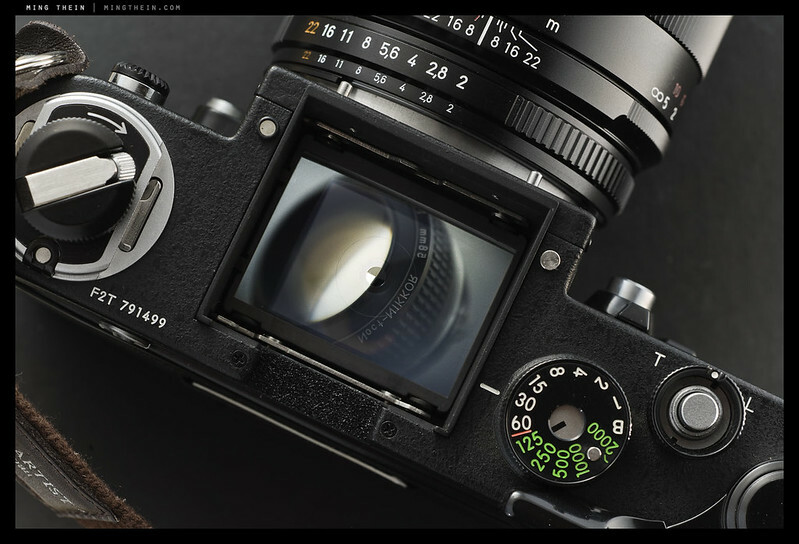 What’s so great about the Leica M9 to me is that it’s like the classic, manual camera with the digital back. Is such a back available for the old Blads? Really looking forward to this! 12 shots really makes you think. And sometimes, even that’s a couple too many, it seems. I actually think the uniqueness of the compositions from the ‘Blad has to do with the reversed image: if it’s balanced both reversed and right-way, it’s likely to be a much stronger composition. 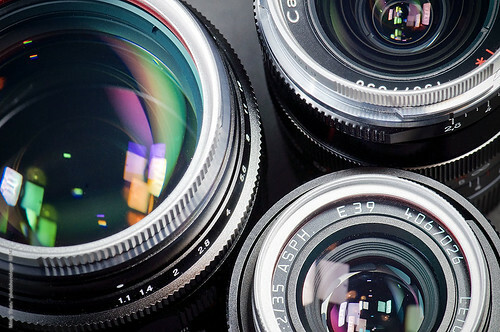 There are digital backs available for the V series, but none of them are full frame 6×6. The best we get is nearly-full frame 645 or square at a 1.5 crop, which requires a special masked focusing screen and some oddity when trying to shoot vertical. It also completely messes up your lens selections – 50-80-120-150 works perfectly for me on film; with the digital back I’m finding 50 not wide enough (too close to my dreaded 35mm); 80 in no-man’s land, and 120/150 to render about the same. I think I might need a 40. Looking forward to your thoughts on the little Olympus. I just bought one a few weeks ago and have put about 10 rolls through it. I’m amazed at how good that tiny lens is. It is a remarkable camera really. 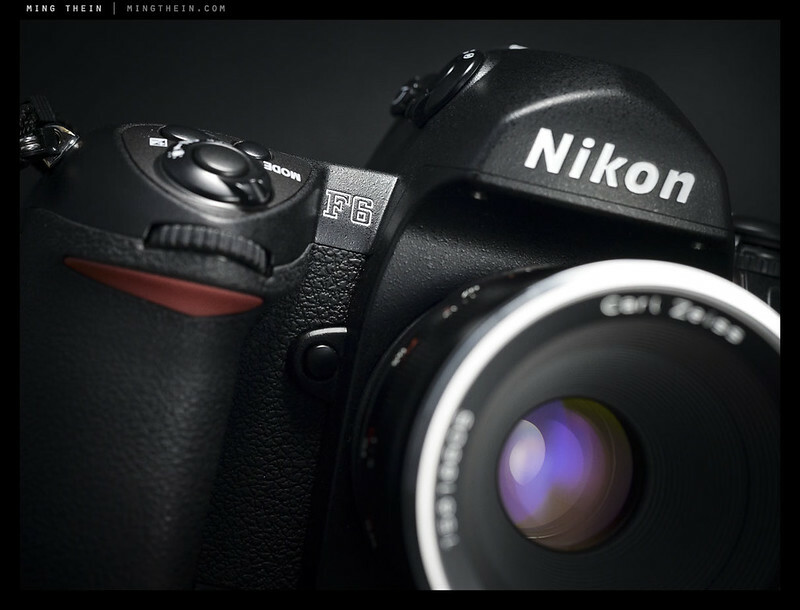 Also looking forward to the F6, which is a camera I suspect I will own at some point. I use an F100, which is a great camera and one I just love shooting with, but I know the F6 is much better. Which reminds me, I have a bunch of 35 and 120 waiting for me to develop. I need to get on it before the rolls start stacking up. Digital is great and has its benefits, but I just love the whole experience of shooting film, the cameras, the sounds they make, even just loading film into a camera body, it feels special and gives me great joy. The Mju lens is excellent, but the rest of the camera really seems to have a mind of its own – neither AE not AF lock seem to work properly for me. Perhaps mine is defective, though I doubt is because my friend’s one does exactly the same thing. Aha! Thanks for the heads up. You must do something about your 3.0 CSL lust before they all disappear into museums and closely guarded private collections. Assuming the object of your affection is the original road-legal coupe, not the race vehicle with its air dams, scoops, and spoilers, they’re still out there — and for sale. Yes, the 200% tax makes importing one impractical. However, as a frequent international traveler, you might set aside an additional half-day to sample those being offered for sale in various countries. Form an ad hoc investment syndicate with a few like-minded people of exceptional taste and buy one. The 3.0 CSL truly is the most beautiful, elegant design ever produced by BMW. All that glass….uninterrupted sight lines from the driver’s seat….does it get any better? No, it really doesn’t get any better. But they’re still far too expensive for me even if shared with another four or five people – assuming one could find such individuals in KL. The really sad thing is that there are one or two in the country already which transacted 5-10 years ago for not that much money, but they’ve long since disappeared. I have to be honest – if I had one, I’d drive it. It’s far too beautiful to sit in a garage. Can’t wait for this. Bravo! And thanks for putting the F6 in there Ming. It does feel right to reserve “classic” for things that are at least a generation old and have stood the test, but that isn’t a hard and fast rule for me—and I can even treat “classic” out of time: sometimes you see something, brand new and virgin as the driven snow, but you just know that’s a classic [illogical, but still]. When I watched the Ridley Scott film GLADIATOR for the first time, I had this exact feeling. I bet first time viewers of STAR WARS, say, felt the same. Oh yes. Gladiator was an awesome, if slightly cliched, movie. Lovely use of color there, though perhaps a bit overly strong in places. Still remains one of my favourite movies. You’ve kinda been there already — for anyone that’s interested — with the Inspirations From Older Cameras articles, dotted about the archives. I enjoyed all of those. I’ll enjoy these new [old] ones too. A few “Future Classics” sketches would be a treat; let’s wait and see. And with any of these, you could definitely touch on the sufficiency topic that has come up a lot recently. GLADIATOR was great; they made that film up as they went along, believe it or not. The script was being written as they shot. Joaquin Phoenix is the unsung hero of the picture, for me. Literally, an imperial performance. Connie Nielsen doing the “there was once a dream that was Rome..” hammy stuff at the end was painful. I’d have killed that whole denouement… but, OK, forgiven because RUSSEL CROWE AND JOAQUIN PHEONIX IN A MANO-E-MANO CLINCH AND RUSSELL CROWE’S JOWLS SHIVERING AND EYES LOCKED ON WHILE HE QUIETLY PUSHES A DAGGER INTO THE EMPEROR’S THROAT is one of the best 100 seconds, or so, in cinema. Crowd noise fades, music nill; Maximus, Commodus, cold revenge. Or was it justice? Titus Andronicus would’ve liked it, either way. Speaking of color, and another Scott film, did you catch UNSTOPPABLE? The film was mezzo-mezzo, but the colors and photography were SUMPTUOUS. The greens, yellows, fawns of the trees, the red train, and blue skies: very saturated but not gaudy. Lovely. I have a real soft spot for the scenery in that part of the US—don’t know why. I’ll have to go check out Unstoppable when I have some time. Perhaps in August, I’m trying to keep that month relatively quiet. Have to be honest: I hated The Life Of Pi – the CG was too much and the whole thing not quite outlandish enough for you to suspend your disbelief to make it enjoyable, but too outlandish to be believable. I wanted those few hours of my life back afterwards. I could have written a post instead, or gotten something worthwhile on a couple of rolls of film. I liked the whale breach, the floating island at night, and the psychedelic trip in Richard Parker’s eyes… on that last one, I think this could be an Ang Lee trope: in his HULK (another one that took heavy criticism for its CG; maybe he needs to rethink his approach and creative partners) he put in Eames style zooming sequences [the bar is high for that reference] that were meditations on lichen. HULK was the first Ang Lee film I ever saw and I loved the guy after that. The Nick Nolte performance he got aside, an action film which just stops in the middle of a fire fight to mediate on lichen? That’s a director you make a note of 🙂 Anyway, I think he may have a weakness for “what’s behind? What’s under the surface?” type questions.. So LIFE OF PI, CG and all, is kind of like the perfect Ang Lee film. The scene in the first act at the religious festival [laying the candles in the river] => instant “MT” association for me: the candles because of the PS video [an M9 shot of a crowd laying candles in the street at night] and of course your amazing photos with the M240 at Shwedagon Pagoda and your lovely OMD shots on Wesak Day. But the shot of the film? On hazy memory now, I’ve watched a few since!, but maybe the early morning calm with a yellow and pink and blue sky mirrored in a still ocean, Piscine on his impromptu raft, Richard Parker in the lifeboat, they both stand and silently look at each other. Loved it. I’d really love to see which digital cameras will be used 30+ years after they were made. I suspect they will all be landfill by then. I dunno, those first Seiko Astrons are still knocking about and fetching halfway decent prices; I have an early 90s compaq laptop [the size of a briefcase] that I tried to learn assembly language on in my teens, still works! Though I get it: 95% of the digital cameras ever made probably don’t get used even 3 years after they were bought. And Iskabibble, I’m on a meterless F2 now 🙂 Drifting away from the fluff –> or am I drifting into it? Either way, LIKE. What’s the deal with not having full 6X6 digital backs? I was just looking at the Mamiya Leaf mini-site and the top draw Credo doesn’t seem to get there, either. Is it just overkill [hard to believe in this market]; or technical; or cost? It’d be interesting to see what happens if they did produce them though—given the nature of medium format and its users, would everyone go for it? Not at all. It’s a consequence of having pretty much no I/O at all, other than the obligatory PC sync port. I think it’s the cost of the sensor: wafer sizes are standard, error rates per wafer are standard, and if you can only put four or six sensors on a wafer instead of (I’m guessing) 12, then the yield is going to be terrible. Costs will increase commensurately. And then there’s the question of market: how many people would buy it, given there are no new 6×6 cameras still in production? Personally, if the IQ is anything as good as the CFV, I’d go for it. A stop or two more usable high ISO wouldn’t go amiss, either – OM-D levels would be fine, no need D3s (though with D3s-sized pixels, we’d still get 45+ MP on a 6×6 chip). My 2004 D2H is already a paperwight – it was after about two and a half years of hard use – succumbed to moisture of all things (it’s meant to be a pro grade weather-sealed monster). I see and hear of very few in use; partially because people want more IQ, but I suspect also because many have died – you see very few up for sale these days. To answer your question: probably none will remain usable 30 years from now. At very least, the limited lifespan of lithium battery technology will see to that. This is a great idea for a series of articles, and I’m looking forward to reading it! I think KEH would rate my friend’s 500C/M as “BGN.” There are black specks and crud all over the mirror and screen, so it’s probably not the best example of the breed. There’s also some kind of yellow cast in the viewfinder. But I agree that focus is very easy to find: the split focus seems kind of slow and coarse (relative to memories of Canon FD SLRs), but the diamond pattern circle and clear areas are pretty discriminating. And yes, the drawing style is readily apparent even through the viewfinder. I just processed my first roll of film (Acros in 1+50 Rodinal) from the Hasselblad, and there’s definitely some kind of light leak. Not sure if it’s my tank loading technique or something wrong with the camera. I guess I’ll find out when I get the Provia also shot on it developed. Just looking at the contact sheet, I could see how someone can easily fall for this camera as a purely B&W camera. Ouch. Are you seeing light areas towards one edge of the frame? Or in the center? The former is probably a light leak from the back, the latter might be a sticky secondary shutter. I just processed another roll from the Fuji GW690, and Acros is blowing me away with its highlight headroom. I think an interesting experiment for me will be to see if I can use this as a way to separate out the subject from the background. Ah, that’s a very easy fix. You just need new light seals – it’s a sticky bit of plastic that should press cleanly against the dark slide. I own a Leica M3 double stroke body. Not sure now but I think it’s from 1954! Run’s smooth like first day (okay, that’s a guess since I am much younger. Let’s see how smotth I’ll run 30 years from now). Wished modern bodies would be as simple and solid as the classics. On the other hand I appreciate the digital convenience and in the end this is what made me a photographer. Two sides of the same coin. Okay, now that goes on step further – it’s the same age as my father! Have you ever serviced the M3? The “less is more” feeling might be the biggest impact (benefit?) from vintage gear. A third of a stop is no issue at all. My F2 – as close as a digital recording can make out – is bang on the money. Not bad for something 30 years old and never serviced…they definitely don’t make them like this anymore. A doubly memorable article in that I’m old enough to have used most of the classics you mention… including the neck-achingly heavy Nikon F2 High-Speed with it’s double battery-pack which swallowed 36-exposure films in just a few seconds for recording Bill Haley & His Comets during the filming of “Blue Suede Shoes” in 1979. Digital shooters of today don’t know how easy they have it! I’m amazed you could even put the F2H around your neck without the body strap-lugs distorting and ripping out of the metal! What happened to that camera, out of curiosity? 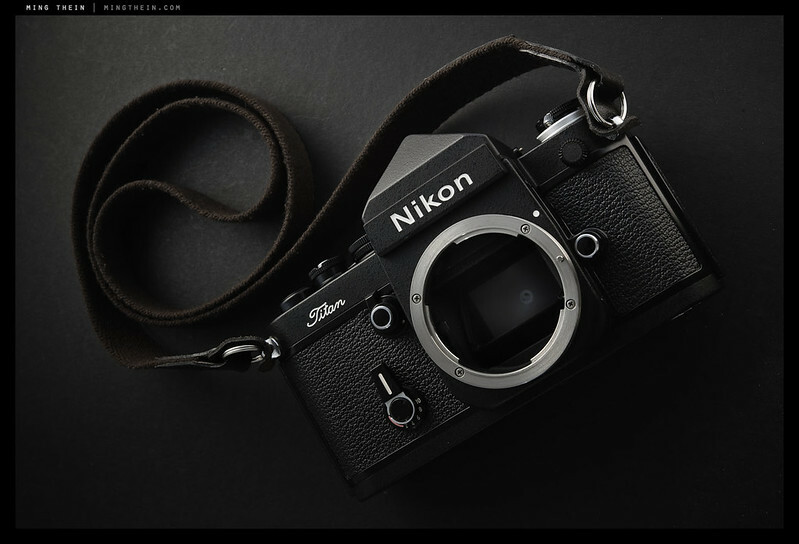 The Nikon F2 High-Speed was a loaner from Nikon UK… I was a member of the “Nikon V.I.P. Service” for several years and also did lectures, demos and editorials for the Nikon Club of Great Britain as well as for Ilford, Agfa, Pentax and others. Interesting times, to be sure, having also published a specialist “darkroom” magazine in the UK for seven years, but unfortunately my house had a permanent odor of Rodinal and Hypam fixer, and something else, as well as the pungent Kodak acetic bath between dev and fix, had to stop! Both were in their time also used as press cameras. The Zeiss Ikon(ta) series of coat pocket sized collapsible 4.5×6 cm and 6×6 cm rangefinder cameras, the better ones with the sharp Tessar 3.5/75 mm lens – they were fairly fast to operate, film winding slower than on Rolleiflex or Hasselblad though. Hi Ming, I’m also looking forward to this. For the past several months I’ve been contemplating getting back into shooting film. The one thing that’s held me back so far has been budget. Then there’s the issue of what to buy. I have friends who shoot with Hasselblad or Rolleiflex and I’m always blown away by their photos (even when I don’t like the photos themselves). There’s a texture there, for lack of a better word. A warmth. They feel more like the work of a human than a computer. And let’s face it, in the old days, things were built to last. Which is why a 50 year old camera, properly restored or maintained, will still take beautiful photos. In one sense, they were simpler too. No software bugs. No firmware updates. Anyway, I know you’ve been to Hong Kong, I’m wondering if you’ve ever been to Champagne Court in Tsim Sha Tsui? It’s a tiny little old style shopping mall and most of the shops there are selling vintage camera equipment – more Leicas, Hasselblads, Rolleiflexes, etc. than you can shake a stick at (if that’s your idea of a good time). More than likely none of these shops have web sites but for people coming to Hong Kong who are into this sort of thing, it’s a must visit. Most of my vintage gear is older than me! 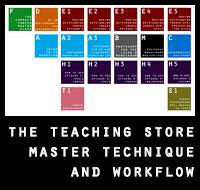 Looks and functions just fine, as you can tell from the images. I doubt I’ll be able to say the same thing about my digital cameras in half the time. Just yesterday, I was thinking it’d be quite cool to look into getting a classic film camera, I managed to stop that chain of thought … now you post this … sigh! I wonder if they’re still in business – last update was a year ago. No, that’s a different camera. I figure I outlayed approx. $8,000 for the lot but I see it as akin to money in the bank that I can spend every day without loss of interest.